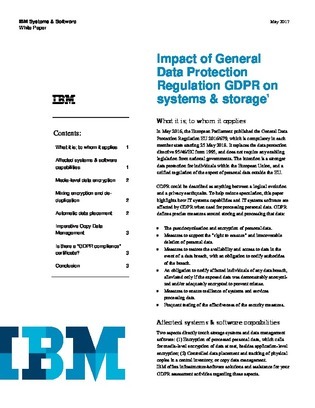 Because the General Data Protection Regulation (GDPR) is a process-oriented regulation, you cannot rely solely on "GDPR-compliant" product stickers to enforce data protection within your storage systems. In order to strategize protection and purchase accordingly, you first have to understand how the GDPR affects systems’ capabilities and software. Download now to fill the gaps in your infrastructure to ensure your organization is GDPR-compliant.